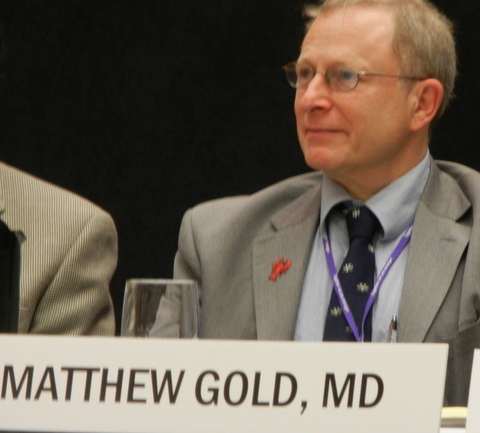 At the June, 2012 Annual meeting of the Organized Medical Staff Section of the American Medical Association, MNA Past President Matthew D. Gold, M.D. (solo practitioner representing Hallmark Health and Highland Healthcare IPAs) was elected Alternate Delegate to the House of Delegates of the AMA from OMSS. He joins Lee Perrin, M.D., anesthesiologist at Newton-Wellesley Hospital (Delegate to the HOD from OMSS; past Speaker of the MMS HOD) as the all-Massachusetts representatives of OMSS to the HOD. Dr. Gold is hoping to work with the delegations of the American Academy of Neurology and the Massachusetts Medical Society in furtherance of common goals as well as advocate strongly for the will of the OMSS. The OMSS is arguably the most activist of the sections of the AMA, where many resolutions originate and are regarded favorably by the parent body. It is also the source of many useful practical reviews on medical leadership, emerging healthcare systems, ethics and model medical staff bylaws, and is an ongoing advocate for the practicing physician. Join the AMA! Massachusetts wields considerable influence at the AMA, and the number of members from Massachusetts determines its delegate count to the HOD. Membership also affords access to the resources of the OMSS and AMA online. If you are not satisfied with the course of health management evolution, participate! (If you are not part of the solution…) Please forward your concerns and ideas to Dr. Gold at mdgold@massmed.org.